From the antique-marks collection we have a stunning Royal Worcester fruit painted cabinet plate by John Freeman dating to c1956. Painted with ripe fruits, apples & cherries, against a mossy neutral leafwork ground and signed at bottom right. This Royal Worcester fruit painted plate is in excellent condition and bears the Royal Worcester black crown mark, dating to c1956-59. 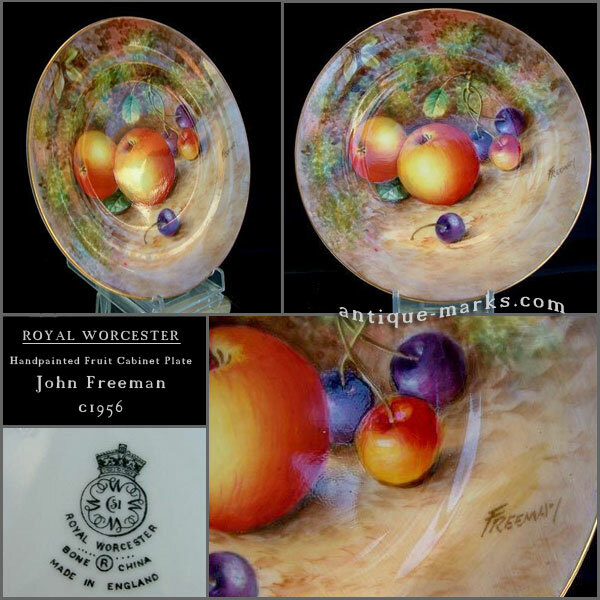 Another stunning Royal Worcester fruit cabinet plate painted by John Freeman, this time dating to around 1944. The plate decorated with a fine scrolled leafwork gilt filigree border on a mauve ground. Enclosing a finely painted floral panel on a soft yellow ground. 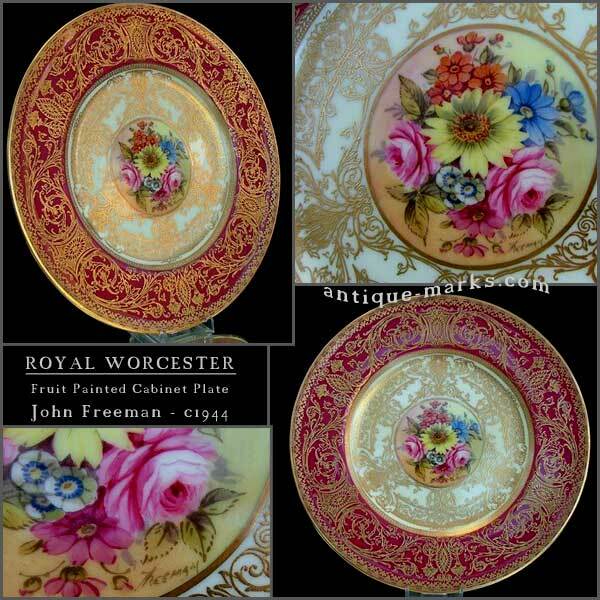 John Freeman was born in 1911 and joined the royal Worcester factory in 1925. John Freeman became the senior Worcester fruit painter in the mens painting room and was known among his colleagues as ‘The Fruit Machine’.